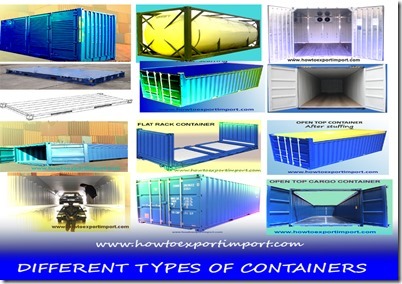 Here let us discuss about measurement of different types of containers . This information helps domestic and international trade to know more about the dimension specification of different types of containers. These details surely support importers and exporters to plan before stuffing of goods to each type of container. Did you like this post about dimension details of each type of container? If you wish to add more information about dimension of cargo containers, you may mention at the bottom of this post. Comment below your thoughts, knowledge and experience in handling different types of containers with different dimension. Siva. : On 17 February 2015 I am doing garments business. Sir, I want to know some details from you. 1.) Sir, how can we directly approach Air Cargo or Sea Cargo without Freight Forwarders ? 2.) is it possible to choose our Cargo Service providers direcly by us without a Freight forwarding agent ? 3.) Whether we need Customs Clearance agents for Customs Clearance purposes, if we keep documents perfectly, won't we manage by us ? 4.) Sir, i have inquiries from Malaysia for jasmine flowers, so there is no direct flight service to Malaysia from Madurai, so, how can i approach this ? Admin: On 17 February 2015 Hi sive, You may directly approach an IATA agent to carry your cargo. You can directly handle shipments without appointing a freight forwarder. You can directly complete export or import customs clearance procedures and formalities without a Customs clearance agents. You can arrange to contact air carrier to move your shipments from Madurai to Malaysia by transhipment, if direct flights not available. Gvexports: On 04 June 2017 We are Gvexports from India. We are doing all agricultural food products exporting all countries. We have all spaices and vegetables and fruits supplied. Basmati rice, garlic, Ginjer, Green cardamom, Peppers, cuminseeds, fenalseeds, fenugreek, Mustard seeds, cloves, cinnamon, cashew nuts, Yellow corns, hushk coconuts, etc. najma qureshi: On 07 May 2018 Thanks for sharing this information. Its real helped in knowing how to make shipping of goods possible overseas.